Relocating to a new house is stressful enough without having to worry about the logistics of an entire move. So when it comes to the heavy-lifting (literally), leave it to the professionals — professional movers, that is. Experienced Commerce City, CO moving companies consist of expert movers and packers who can efficiently pack, move and assemble your Commerce City belongings to ensure that you get off to a good start in your new home! Special Ops Moving is an elite moving unit in Denver, CO. We provide commercial and residential moves like yours in Denver, CO and surrounding areas. 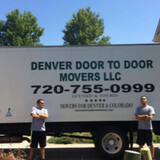 Our Denver Movers are made up of experienced, professional, and courteous crews. When we hire new crews, we provide an extensive training with our four week moving boot-camp to train them how to provide moving services the right way. We then place them on our state of the art over sized trucks with our five to ten year experienced moving crews to serve your needs. No move is too large or too small. We serve the entire front range of Colorado. Our reputation and performance is what we stand on. The crews are polite, hard working, disciplined and are happy to provide you with excellent moving services. Our Denver movers go through thorough background checks and are the perfect people to represent our company. They are movers you can trust in your home and with your valuable possessions. We are fully insured to federal mandates and also carry insurance as required by the state. We are licensed in the state and with the Public Utilities Commission. We take a special approach to every move and handle it with precision in the fastest possible time. Your time is important to you and we work with you to best suit your needs. Our customers are very important to us as we rely on past customer referrals as a big part of our business along with real estate agents that have had a great experience referring our company to their clients. 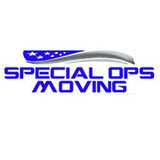 We at Special Ops Moving also specialize in top-notch customer service so that our customers are satisfied with the move to the fullest and keep coming back to us whenever they need moving services that offer value for money. Since we always make sure that our customers have an extremely nice experience while moving with us, it’s no wonder that we have a significant number of repeat customers. Trans World Van Lines Inc is a full-service long distance carrier that currently services pickups & deliveries in the lower 48 states. Our qualified movers will guide you thru your move to ensure a stress-free relocation. We offer standard moving services, full packing services, crating, insurance, and even auto transport. We have carrier status with the U.S. Department of Transportation and every move comes standard with two forms of insurance coverage. Give us call for no-cost, no obligation estimate! Black Hawk Moving is a Veteran owned company that is located in Englewood and Denver and services all of the Colorado area. Our entire team of Denver Movers and Englewood Movers are made up of an exceptional group of diverse employees who are determined to provide the best service in the area. Black Hawk Moving offers a variety of services ranging from packing and moving services to heavy equipment lifting and gun safe moving. We also offer disassembly and reassembly for several types of furniture and more. We value every customer and take our time to provide the different moving services that best fit each customer's needs and will customize a plan that will work best for that individual. Contact us today to receive more information! Fischer Van Lines, Moving and Storage is the Boulder & Denver moving company to go to for the highest quality movers in Colorado. Moving companies in Denver are a dime a dozen, we stand out in the crowd! 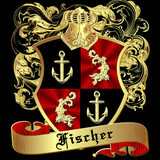 Our 14 year reputation speaks volumes about the Denver movers that work here at Fischer Van Lines, Moving and Storage. The owner was a mover for 13 years before he started Fischer Van Lines, the company will be 14 years old in October of 2018. That's 27 years experience in the moving industry! Check out our moving company in Denver, Co. on the BBB and you'll see a moving record of A+. Google our Boulder & Denver movers by typing in Fischer Van Lines, Moving and Storage and you'll see almost 1000 reviews on multiple sites stating our record is 5 stars almost all the time. We strive to be the best moving company in Denver at all costs, at all times! Mojos Moving Services is Denver's family owned and operated moving company providing high quality moving services. We are licensed and fully insured for your peace of mind. We will serve you with respect and honesty. We offer all the loading and unloading services that will best suit your needs. Our professional and friendly movers will provide the highest level of customer service. We understand that moving is stressful, so leave it up to us and we will help you throughout the process. Aero Moving & Local Express prides itself on being the go-to choice for clients looking for Local Movers, Packing And Unpacking Movers and Residential Movers services. YOUR ONE STOP SHOP! TruMoving is a locally owned company. We are professionally trained uniformed movers who take pride in what we do. 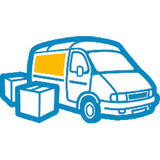 Our goal is to offer our customers a headache-free, all-inclusive moving experience. We understand each customers needs are different and no two moves are alike. We are fully equipped with a variety of box trucks and moving equipment to fit any customer’s needs. Our Family Owned Swag Movers Team Will Listen To Your Needs And Will Serve You Throughout All Phases Of Your Move. With Over 30 Years In Business, We Are Highly Experienced In Packing, Handling And Transportation. Being Family Owned And Operated, We Understand The Level Of Commitment You Are Giving Us, So We Will Be With You Every Step Of The Way. Let Our Family Move Yours. With over 10 years of experience in the moving industry, we’ve helped thousands of people move their homes and businesses. We’ve established our reputation as a top rated Denver moving company. People know they can trust us with their most valuable belongings. We take care of your items as if they were our own, and with our outstanding insurance coverage you can be sure that anything that is lost or broken will be promptly replaced. Movemasters Denver Moving Company Denver Trusted in the finest Denver homes, galleries, and showrooms since 1981, Movemasters remains unmatched for impeccable customer service, hard-working, conscientous movers, and an overall operational approach that emphasizes honesty, credibility, and integrity. Whether you need help packing and unpacking your things or you just want efficient movers to load and unload your boxes, you can count on 300 Movers, LLC of Aurora, CO. We care about your satisfaction. That’s why we go the extra mile to deliver outstanding services. We’ve built our reputation on honest services and hard work. We believe in our business vision. We make customer service our number one priority. We believe in treating your belongings as if they were our own. We believe in efficient use of customer’s time. We want to change the perspective of people towards the moving industry. We believe in a safe and healthy work environment. We want to create a work environment where constructive communication flows freely. We believe in employee development and well-being. We can always improve. We believe in honesty and integrity. We hustle when we’re not carrying things. We want to create Customers for Life. Super Movers specializes in residential and commercial packing and moving services. We use state of the art equipment and match it with our core values of integrity, respect and care for your possessions to ensure a safe and stress free moving experience. Colorado Payroll Services provides payroll services and HR services to small and medium-sized businesses, allowing them to pick and choose the best package and vendor for the needs of their business. We specialize in services such as check processing, tax compliance, worker's compensation, labor distribution, job costing, and many others.